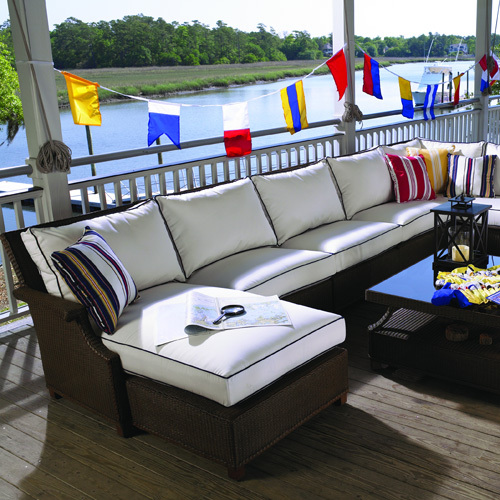 The Hamptons Collection boasts clean, modern lines, reminiscent of the yachts that sail off the coast of the this group's namesake. 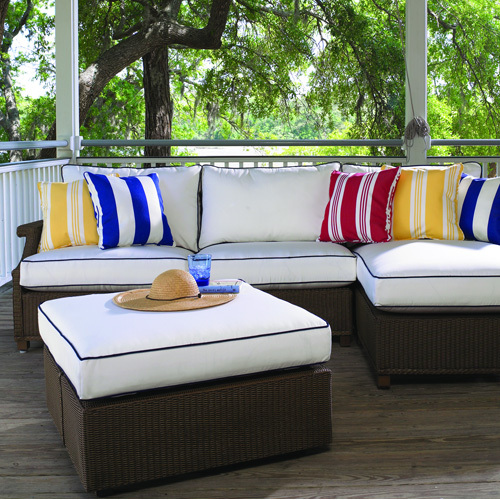 Celebrate brisk New England Americanism with this comfortably refined collection. 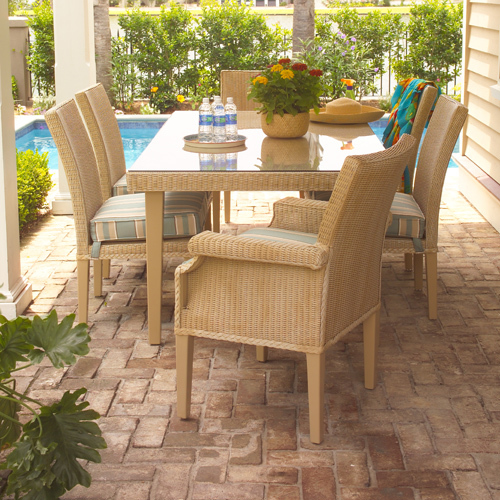 Versatile roominess and understated elegance means The Hamptons Collection is easily adaptable to multiple room and decor styles. Self-expression is also a crucial feature of this set; it easily takes a central, comfortable place in any living room, but is just as impressive on the terrace. Free-standing sectional units can be arranged as a continuous seating arrangement or moved about to create intimate conversation nooks. 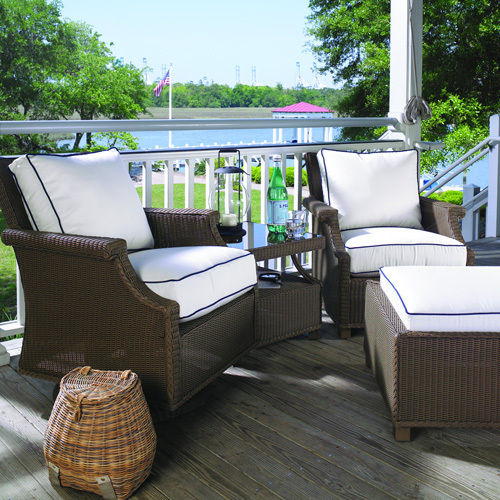 Durable loom woven wicker over sturdy aluminum supports makes this the perfect choice for any outdoor living area.